A 6-minute drive from Hearst Castle, this family-owned and operated motel is off the ocean side of Highway 1. A cable TV with HBO film channels is offered in each room at Sands by the Sea Motel. 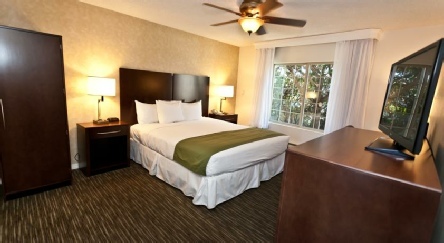 Each guest room includes a microwave, a refrigerator, a coffee machine and ironing facilities. Guests of Motel Sands by the Sea are offered a daily continental breakfast at an adjacent restaurant. There is an indoor heated pool, and a 24-hour reception greets guests of Sands by the Sea. A business centre is also available. The Sands by the Sea is a family owned property located just three minutes from Hearst Castle on the ocean side of Highway 1 with excellent beach access just steps from your room. 2019 package holidays to The Sands by the Sea San Simeon Prices are per person based on two sharing, including flights, transfers and accommodation, and are subject to availability. Flights from Heathrow - other departures also available, call for details.